As it was a quick game we didn’t really come up with any sort of background or names or anything – expect more of that next time! 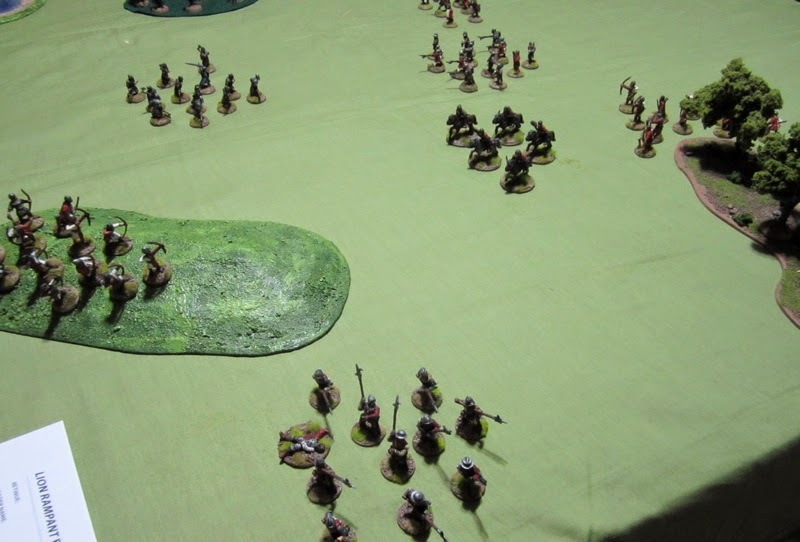 We played the standard “Bloodbath” scenario – go kill your enemy – kill the mostest, the fastest. All set up and ready to go – The Boy’s forces are to the left, The Girl’s to the right. The Girl, being the “attacker”, went first. The Serjeants (mounted and foot) all managed to move forward. 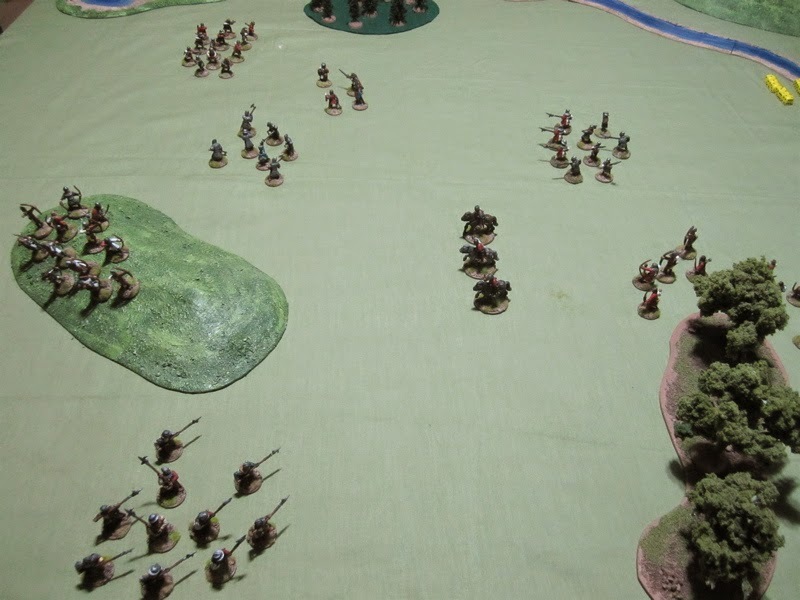 The Men-at-Arms failed their activation and ended the turn (so the Archers didn’t move in the first turn either. 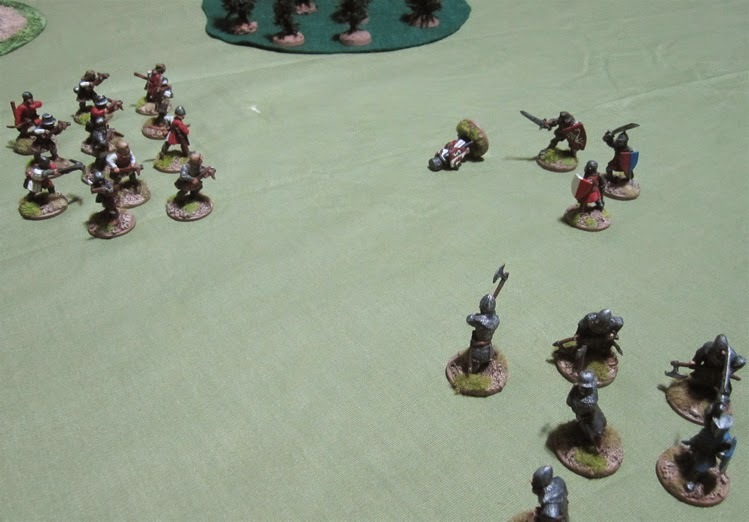 The Boy managed to move his two units of Expert Serjeants and the Archers, but the Crossbowmen just didn’t see the point of getting a move on as the enemy were clearly coming to them! 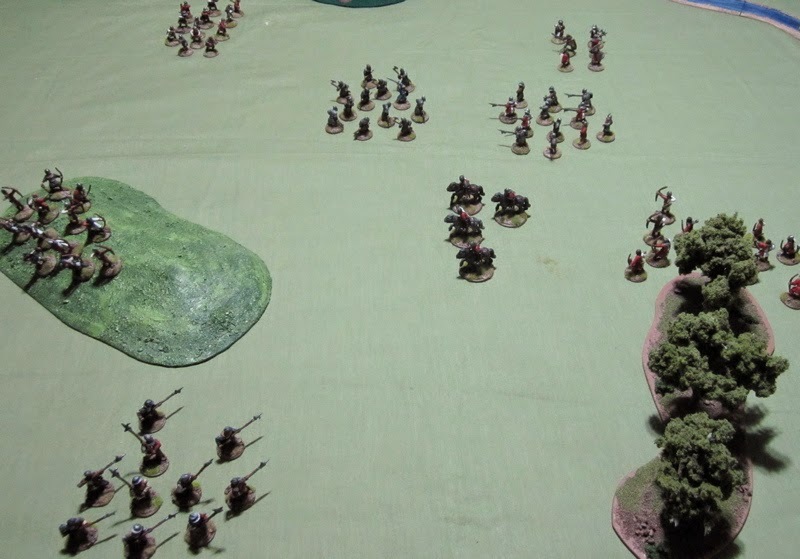 The Girl has managed to get all her forces moving ahead this turn and The Boy has gotten his two units of Serjeants moving…. Then he shot with his archers! The boys crossbowmen again decided to sharpen their bolts or grease their levers or something because they were just NOT getting a move on. The Girl’s foot all surged forward – angered by the loss of their fellow mounted serjeant! 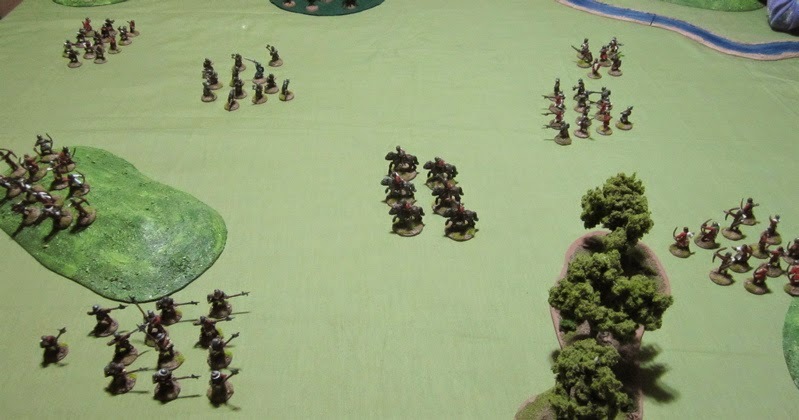 Then the mounted crossbow fired… well… not back at the archers (because they were out of range, and to move closer would have put them in a position where they would be essentially surrounded on three sides), but at the foot serjeants creeping up on their left. The Serjeants failed their courage test and very nearly fled of the table! At the beginning of The Boy’s turn the Serjeants rallied! 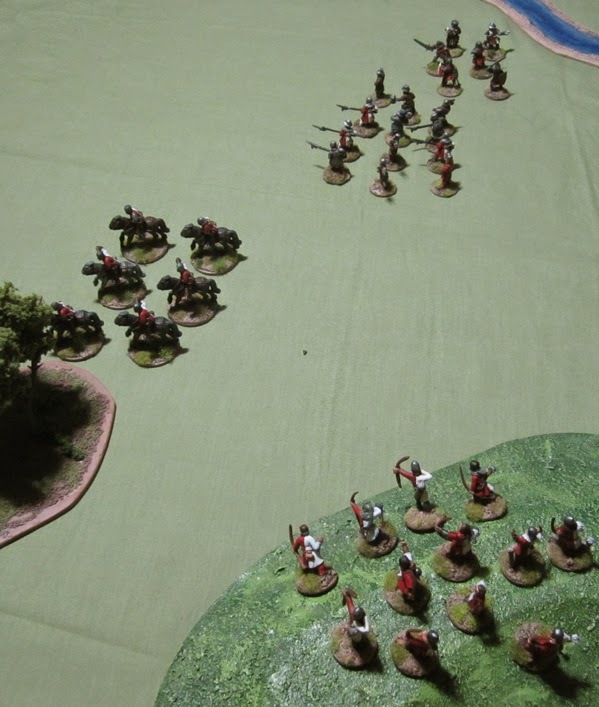 The Boy then retaliated by having his archer rain down more arrows on the mounted Serjeants – taking out a second one! Again, their courage held. The Girl’s foot Serjeants charged in against The Boy’s Serjeants (which included his leader!). Huzzah! Both sides lost two. The Girl’s Serjeants failed courage and ran away. The Boy took advantage of the fleeing, battered enemy Serjeants and followed them up! Neither side caused any casualties… so… The Boy’s Serjeants retreated… which seemed a little odd (as The Girl’s Serjeants were already “battered”)… but that’s how it worked out. 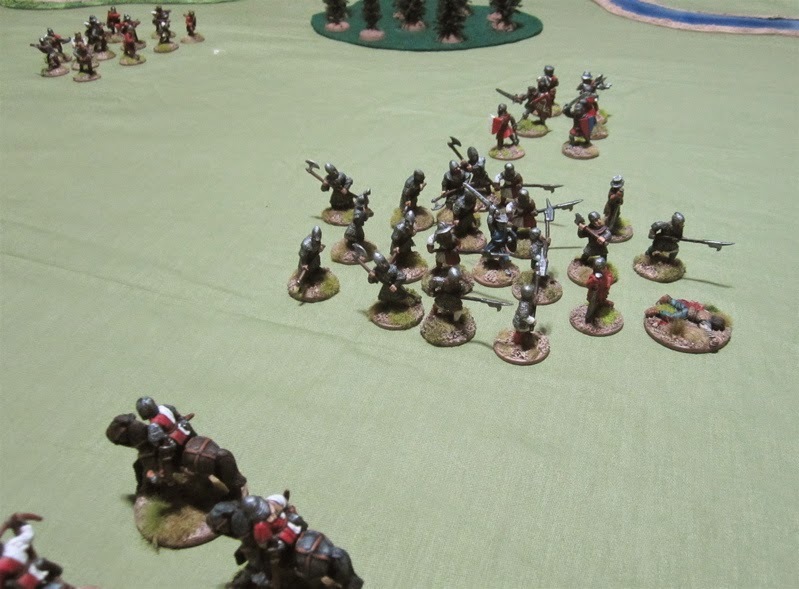 The Boy’s archers shot at the Mounted Serjeants again, but this time caused no casualties. 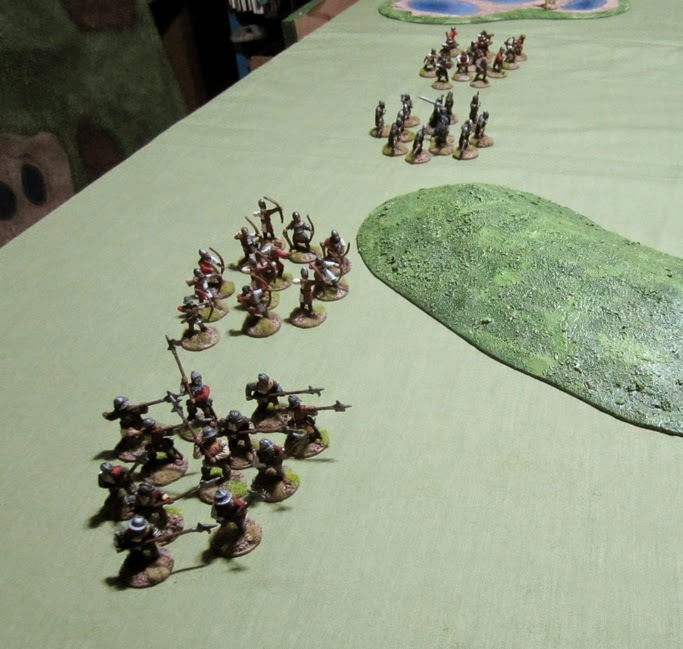 The foot Men-at-Arms charged into contact with the enemy Serjeants! They slew three of the enemy Serjeants, but the Serjeants sold themselves dearly and took two Men-at-Arms with them! So the Serjeants fled from the Men-at-Arms. This time it was The Girl’s Archers turn to fail to activate, leaving the mounted Serjeants stranded in the open wondering what to do. The boy moved his Serjeants away from the Men-at-Arms – thinking his luck wouldn’t hold out against them… the Archers them failed to activate and no one else did anything for the rest of the turn…!? 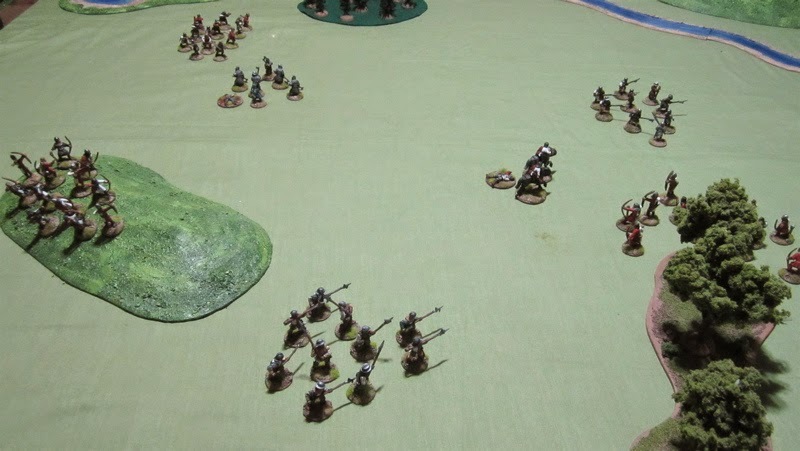 The Boy managed to motivate his Archers to shoot on the mounted Serjeants, causing another casualty, but not ablt to make them lose courage. Then the Crossbowmen failed to shoot at the Men-at-Arms and so neither of the Serjeants got a go. The Boy managed to get his archers to shoot on the Mounted Serjeants, causing yet another casualty!? This time they decided to pack up their crossbows and get out of there! The Crossbowmen FINALLY activated this turn!! They shot on the foot Men-at-Arms and caused… one casualty… Well it was enough to bring them to half strength. Seeing that they were now at a considerable advantage, The Boy sent his foot Serjeants (with his leader) back into combat with the enemy Men-at-Arms! But them the Serjeants also failed their courage test (having lost one of their own) – not enough to rout off the table – but enough to be “battered” and retreat from the fight…? At the loss of the leader the Girl’s foot Sergeants also lost courage and retreated. As it was past bedtime and things were looking poorly for the Girl’s retinue we called it a night. It wasn't a terribly bloody game. The Boy lost only 8 Sergeants - out of a force of 48 - and not all of them would be dead. The Girl suffered a little worse - losing the 5 Men-at-Arms, 3 Serjeants, and 4 Mounted Serjeants. Most of those Men-at-Arms were probably just knocked down and couldn't get up for the weight of their armour (lying on the ground yelling "come back 'ere, I'll bit your leg off!")! 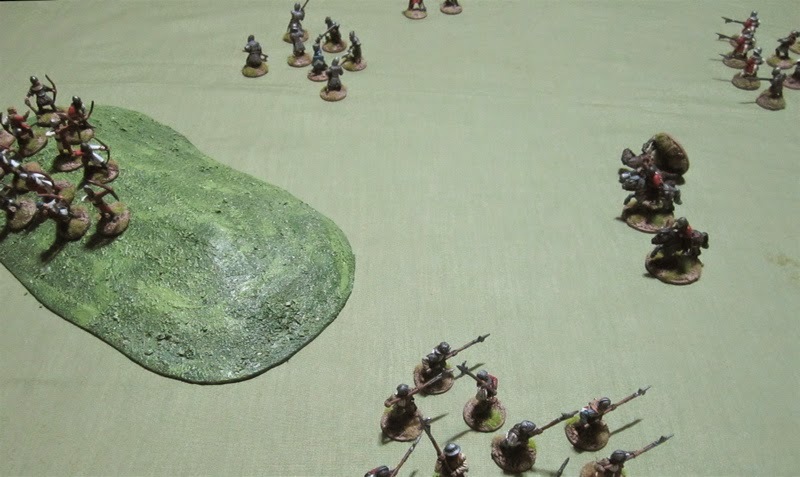 They seemed to have the WORST luck with the activations, I wonder how much more damage they could have caused had they actually been able to MOVE more of their troops into range/contact. The Girl's archers did NOTHING the whole game - except move twice - in seven turns!? 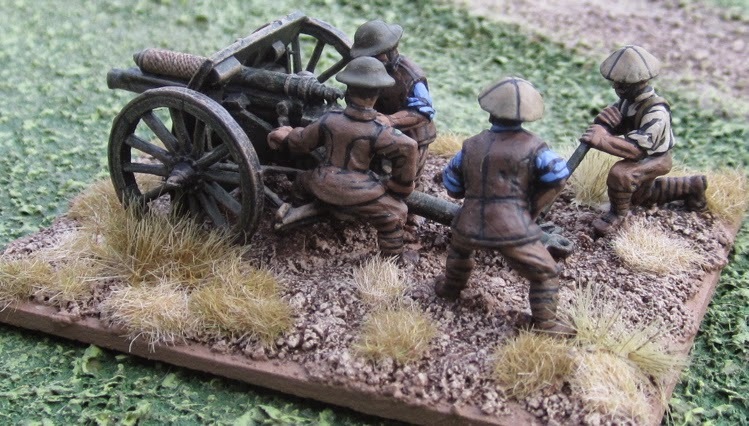 The Boys second unit of Serjeants took two casualties from the mounted (crossbow-armed) Serjeants. 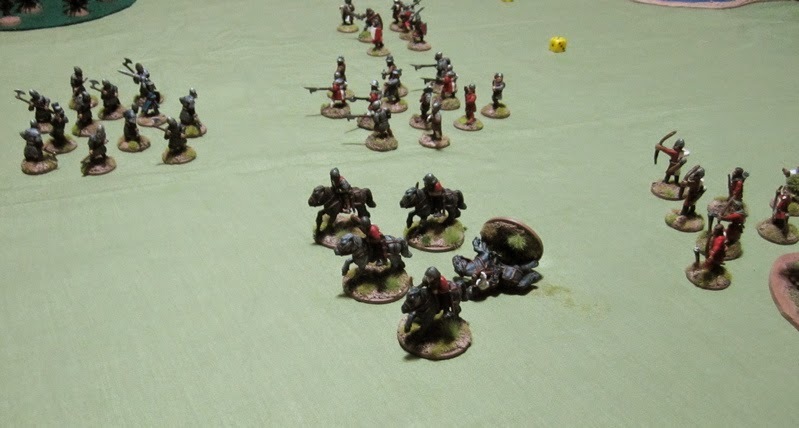 Speaking of them, they looked promising at the beginning - galloping ahead, shooting down a few Serjeants... but then sat doing nothing for the rest of the game - taking the occasional casualty. 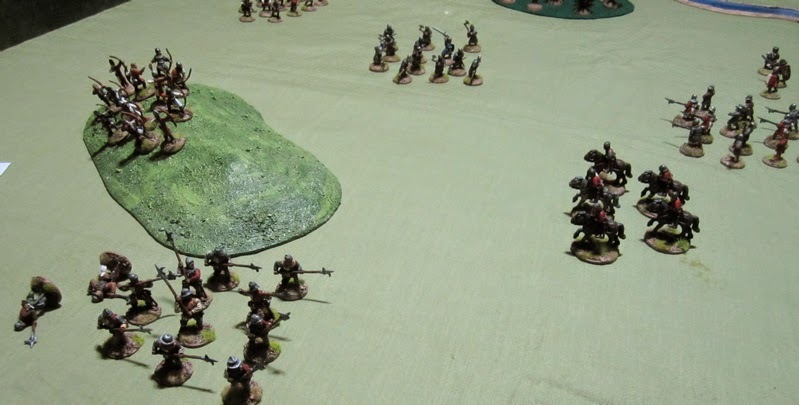 My kids have played a fair bit of DBA/HOTT and Song of Blades and Heroes, so they are well used to having troops just not do stuff, and, though a bit frustrated, took it all in stride- we have fun making up reasons for why they don't do stuff... but when multiple units don't do stuff for over half the game... I guess everyone was just "shocked and awed" by the violence going on in the middle of the field..? For all that the game flowed fairly smoothly. The seven turns might have taken an hour and a half, but it sure didn't feel like it. And for a game that I had only just finished reading it though once - I had to look up rules a minimal amount of times. Everything seemed pretty straightforward. Not sure… We’re busy working on finishing up Hallowe’en costumes this week. Next week I’m hoping to get in some sort of game with the Ancient/Mythical Greeks – probably using Song of Blades and Heroes. 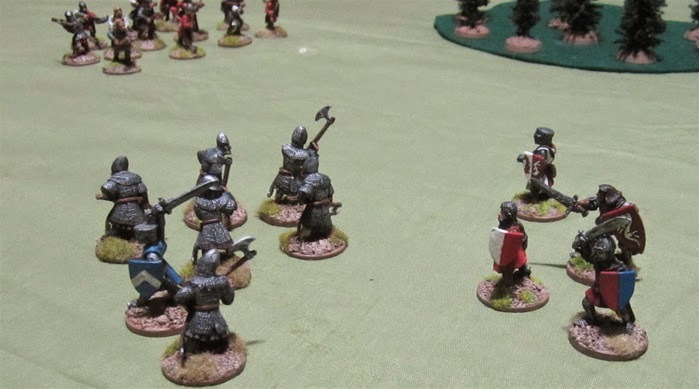 As I mentioned in the Previous Post I’ve been a little distracted by the new Lion Rampant rules from Osprey Publishing. 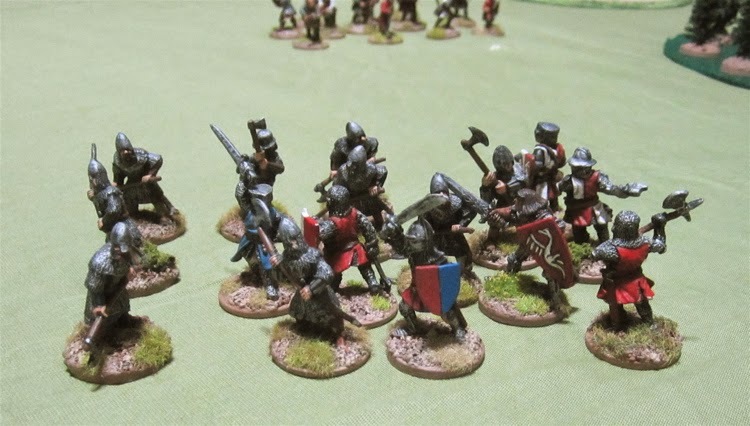 I’ve spent the better part of the last week’s hobby time organized, planning, re-basing, and repainting a bunch of figures to put together some sort of Retinue so we can try these rules out. 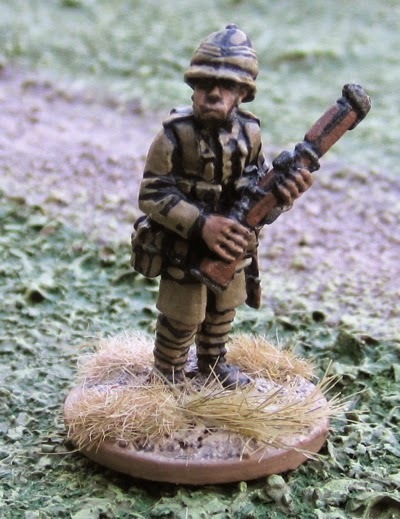 A number of the figures I’m using are some of the oldest figures I have that still have their original paint on them (I have a few older figures – but I’ve mostly stripped and repainted them in recent years…)! 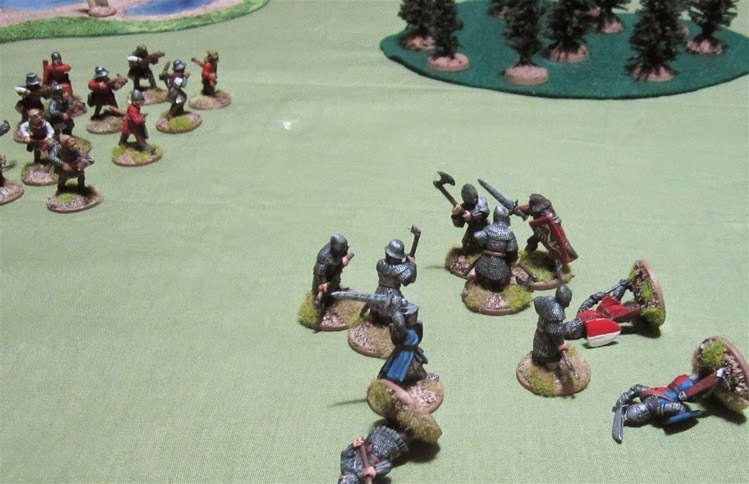 They were the retinue of Baron Philippe du Lapin – one of the first miniature armies I put together (and the last of the Warhammer armies I put together). 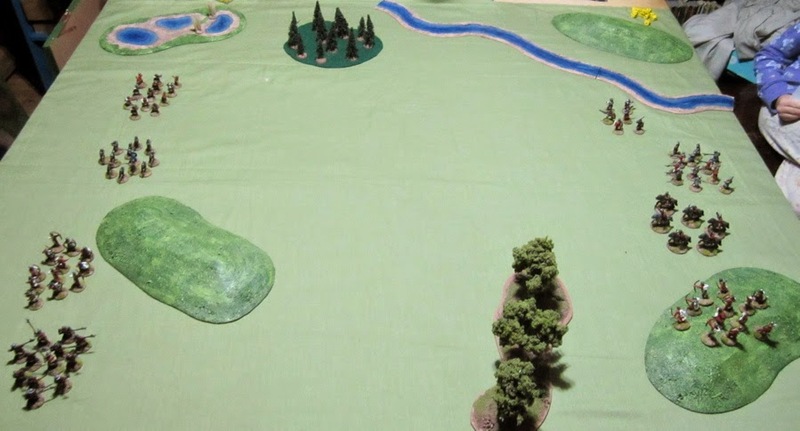 The force was mostly made up of old Wargames Foundry (Hundred Years War, Barons war – mail ordered from England in the pre-internet days) and Citadel Historical miniatures (War of the Roses) – with a few gen-u-ine Games Workshop Bretonians, as they became available. 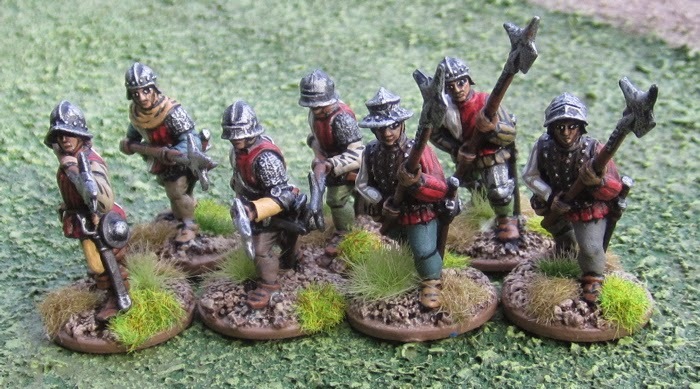 Other figures have worked their way into this force – some Front Rank Figures War of the Roses Billmen and some Axemen of some sort from Old Glory… There’s even a few I modeled and cast myself (see if you can spot them!).
) 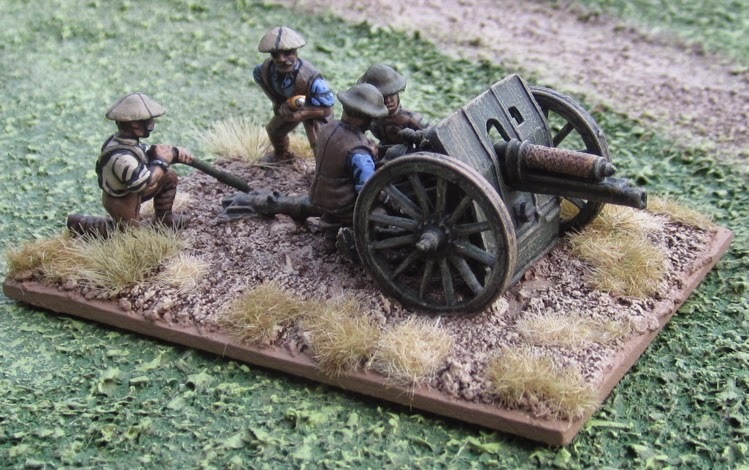 I figured I could make better use of these as the core of a couple of Retinues for Lion Rampant. The entire Retinue so far. 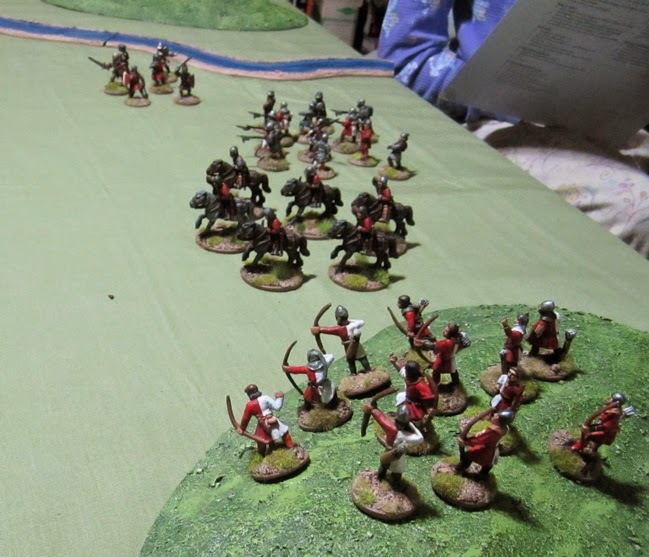 This reprents about 42 points worth of troops – Retinues are generally to be built around 24 – so I have almost enough for two full forces… unfortunately these have mostly been painted all the same colour (as they were to be one force originally). 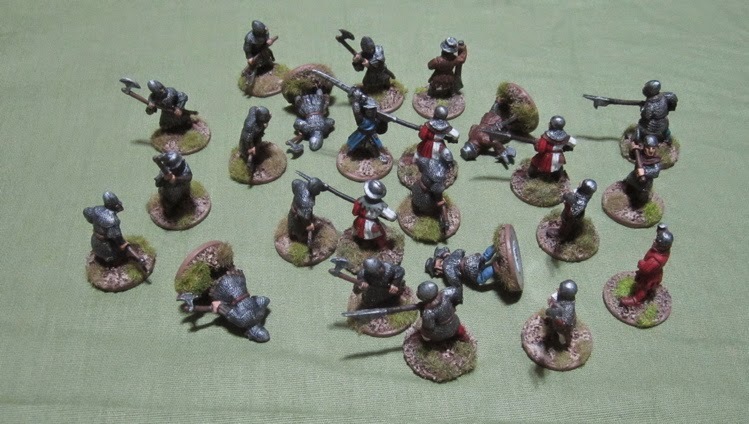 I’m hoping over the weekend we can find some way to split them up and get them on the table to try out the rules – I do have more stuff I can paint up to make a second complete retinue (in different colours!) if (when!) we really get into this! The chap up front with the Bunny Rampants on the shirld is one of the oldest figures I own – one that I repainted a few years back – after scraping of layers of old acrylics and older Testors paints. I think it may have been made by a company called Heritage…? He was used for many D&D characters over the years. The four immediately behind him are Wargames Foundry (with original 23 year old paint – for the most part – I touched one up a bit this week and the others could do with a little love), and the woman in the back was, I think, an old Citadel Miniature (ebay purchase a few years back – stripped off paint from previous owner and repainted). 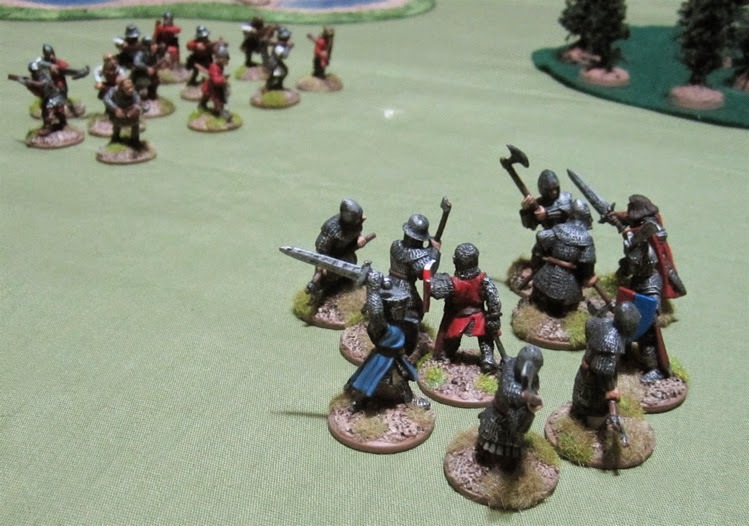 A mix of Hundred Years War Billmen and other Medieval two-handed sword and axemen from Wargames Foundry. I’ve had them for 23 years – mostly in original paint – though a few have been touched up over the years. Old Citadel Historical War or the Roses figures – these were likely part of my earlier Empire Army (and were originally painted with purple and green colours). Some I repainted earlier, some I re-based and re-painted this week). More of the Wargames Foundry I’ve had for 23 years. 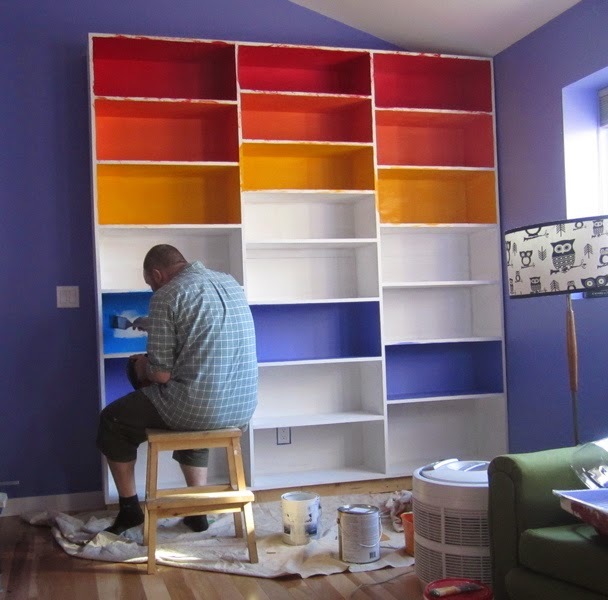 Mostly original colours – though a few were recently touched up or entirely re-painted. I also have a bunch of Old glory Medieval Irish Spear and Axe men I should sort out and make into units (probably two more)…? Could be another 8-12 points…? 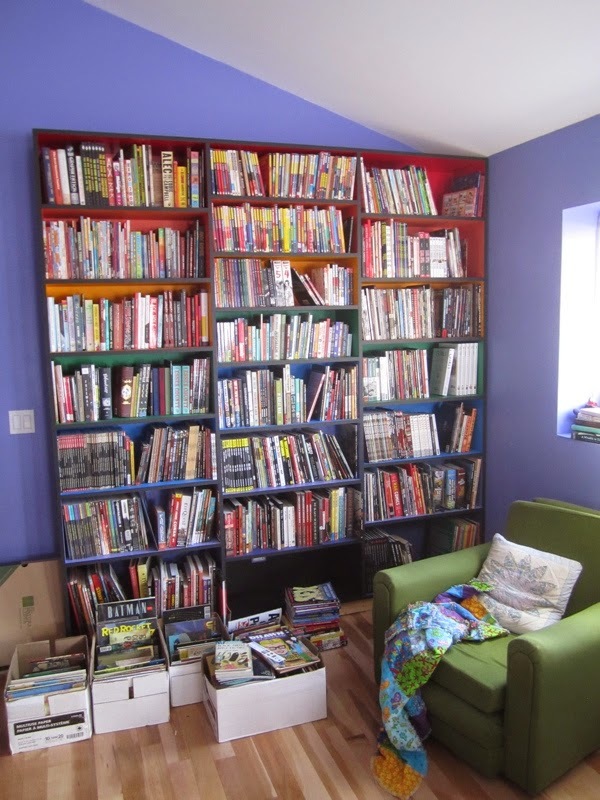 I finally finished up the Graphic Novel Book Shelf… I had hoped I’d be able to get all my comics on this unit and have space left over for the inevitable books I will acquire in the future. Alas… I have gathered up all the books from the previous shelves and boxes and stacks about the house and spent a good chunk of time organizing them all onto this shelf only to find the shelf almost full and I still have these boxes on the floor to get on there somewhere!?!? Hopefully a game report featuring these forces! 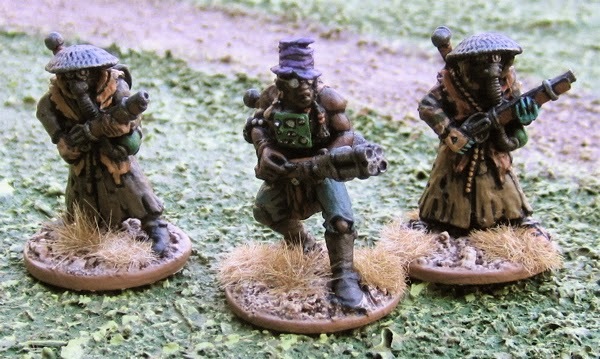 The gun and crew are from Wargames Foundry. 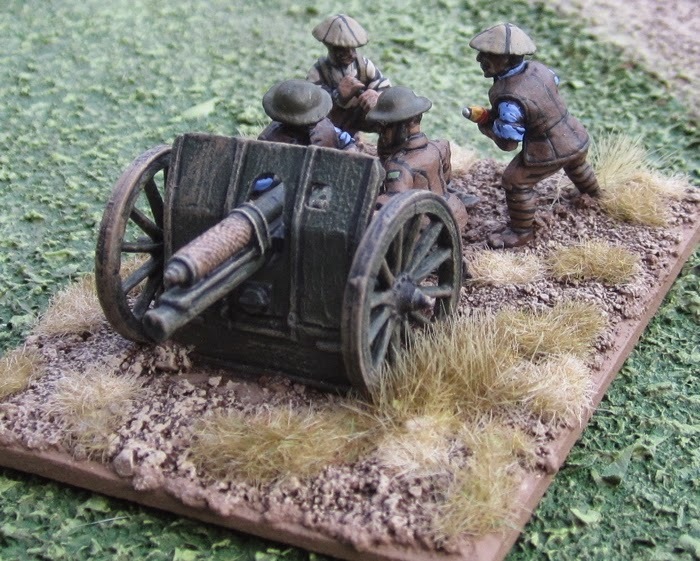 They will be joining my Fourth Canadian Division’s artillery (not that the artillery will likely ever be put on the table…). I have been trying to keep my painting and gaming thematically related to the history I’ve been reading about with the kids. 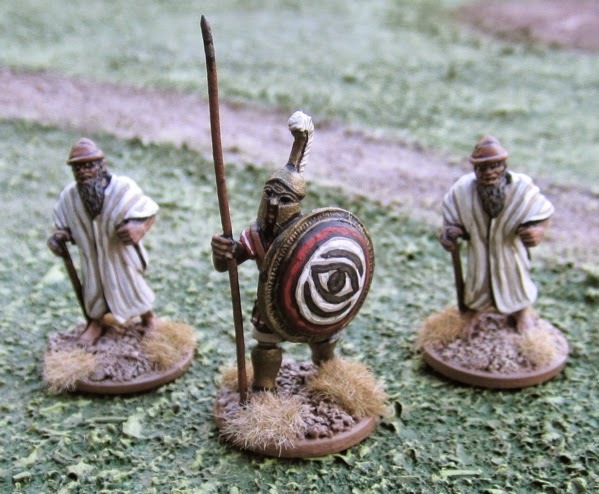 We’ve finally gotten to the Greeks so I’ve been wanting to get back to painting hoplites (and I have painted a few!) 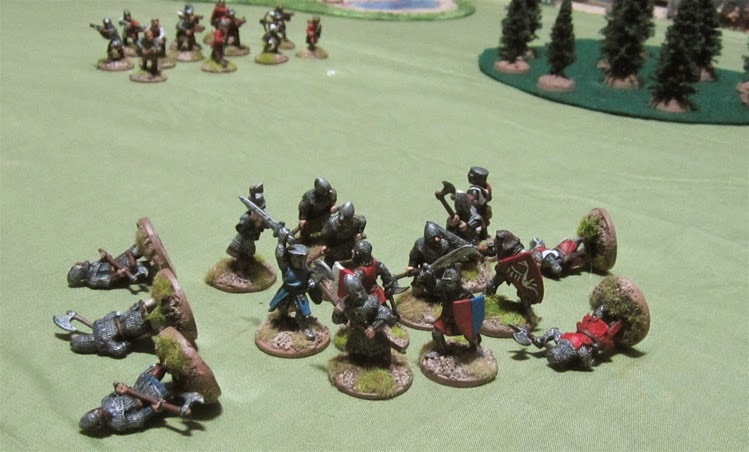 and palying some games with those (perhaps even bust out Of Gods and Mortals) but I recently picked up Lion Rampant and have been somewhat distracted by it. I’ve planning and trying to organize a few forces to try it out. This has required painting up a few things and rebasing a bunch more – mostly old Citadel historicals and Wargames Foundry figures I bought about 25 years ago that were in some of my original Warhammer armies – I later rebased them for DBA/HOTT thinking I’d put together some generic medieval/fantasy human armies… but I got to thinking I’ll probably not get to that any time soon so I’ve re-re-based them individually so they can be used for skirmishy gaming with A Song of Blades and Heroes (or Song of Arthur and Merlin?) and Lion Rampant. 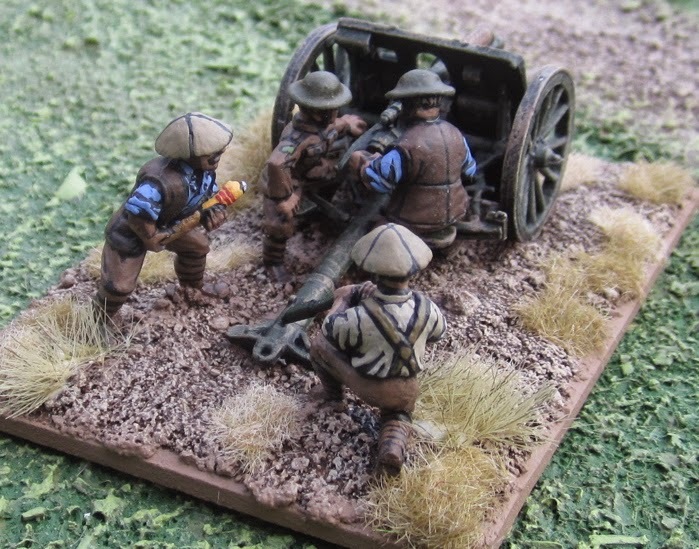 These lads are (I think) from Front Rank Figures War of the Roses line (I got them in a trade a few years back). And here they are with the rest of their unit (that I painted previously). 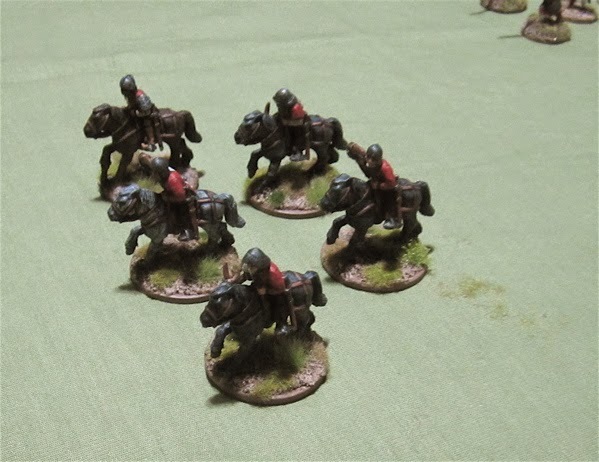 I have a half dozen other units I should have ready shortly to try out a game – more on that shortly. Just a few items rolling off the workbench this week. I’ve been busy with other projects… I'm back to the ancients at least - though I've been a little distracted this past weekend with other miniature possibilities - more on that shortly. 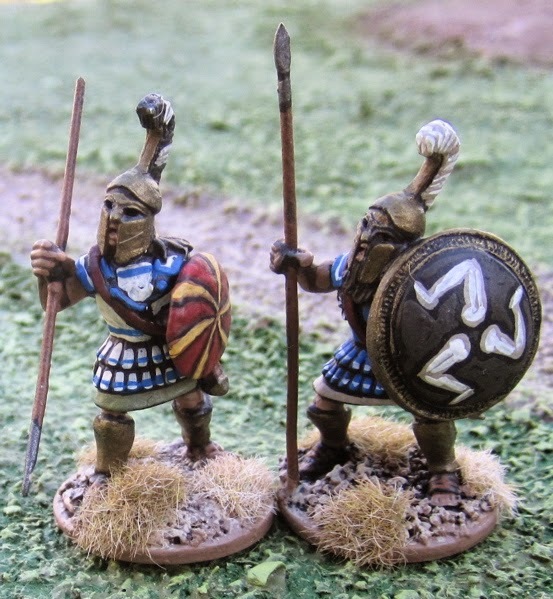 Two Greek warriors from Black Tree Design. 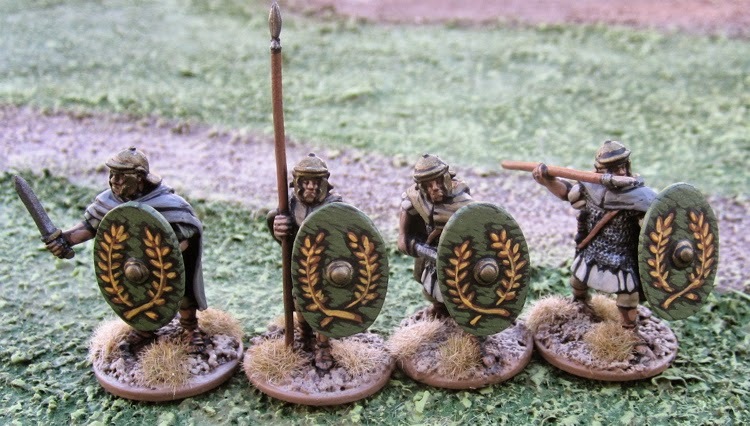 Four Roman Auxiliaries also from Black Tree Design. I need more “survivors” that AREN’T armed with guns! 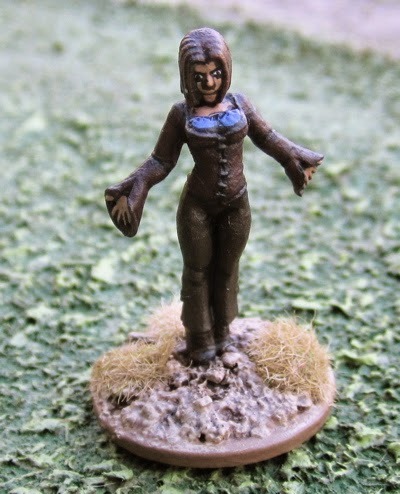 I also finished reading Fear and Faith and started reading Kooky Teenage Monster Hunters which briefly motivated me to finish up this Hasslefree Miniatures knock off of Willow. I am thinking I would like to run a few horror games for Halloween. 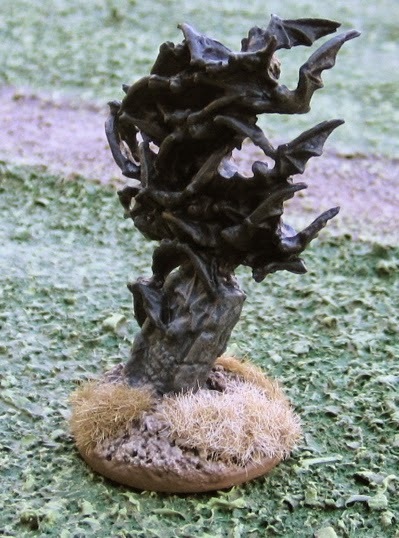 On that spooky Halloween theme… a Reaper Bones cheap and easy bat swarm. 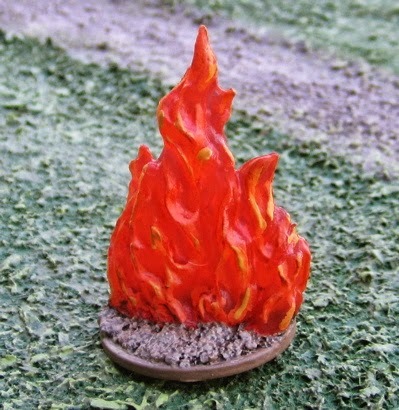 More Reaper Bones – FIRE! A few Black Tree Design Ancient Greeks (because that’s what the kids and I are reading about in our survey of world history… Hopefully there will be more of these over the next two months or so…). 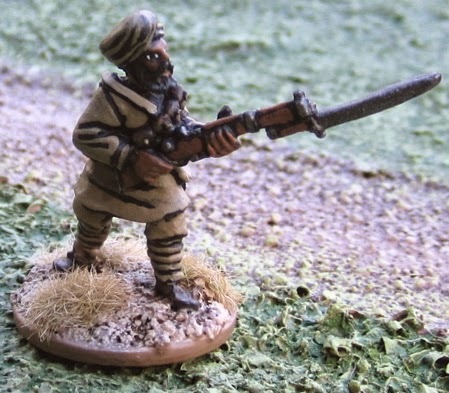 Brigade Games Great War Indian Infantryman. Ditto. 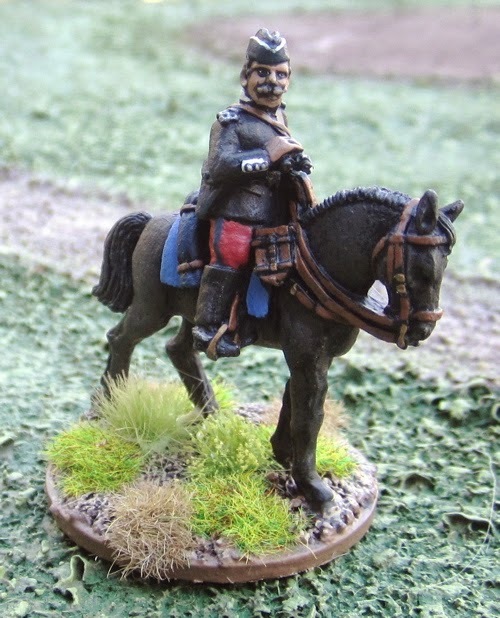 Great War Miniatures Great War French cavalry officer. 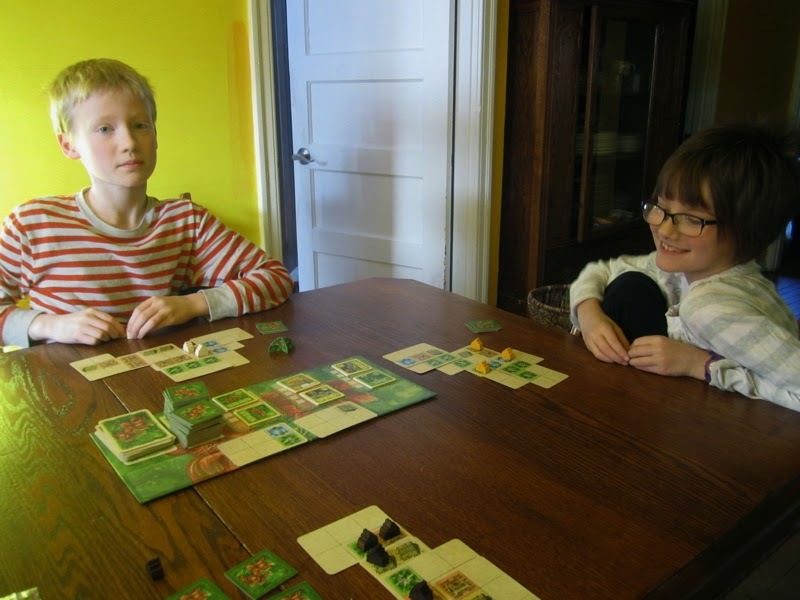 I have at least been getting in some boardgaming lately – a LOT of boardgaming! WE finished up reading about ancient Mesopotamia for the time being with a chapeter on NebuchadnezzarII and the hanging gardens he built for his Persian wife Amytis, so we busted out Hanging Gardens. I also read Shadow Over Innsmouth with the kids – so we busted out Innsmouth Escape - which I’ve had for a few years but was waiting for the stars to be right to play…. 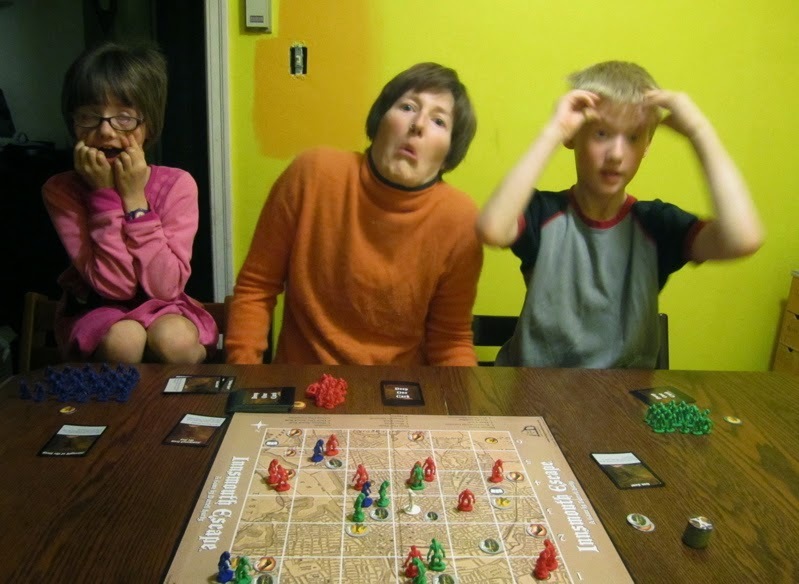 (I asked Amanda and the kids to do their best Deep One impression for the photo – Amanda kind of really nailed the Innsmouth look there… almost worries me a little…). I also recently picked up Cthuhu: Hastur La Vista Baby. The game is set in Kingsport, so I’m trying to think of which Lovecraft tales were set there that I could read with the kids before we crack this one… Any ideas? Ugh… who knows… at the rate I’m painitng it will be a couple weeks before I post any freshly painted figures… perhaps there will be a game report in the meantime.